"Caitlin Hendrix has been a Narcotics detective for six months when the killer at the heart of all her childhood nightmares reemerges: the Prophet. 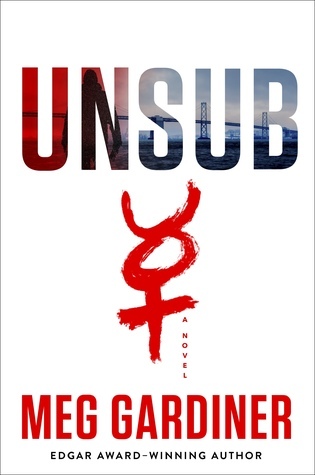 An UNSUB—what the FBI calls an unknown subject—the Prophet terrorized the Bay Area in the 1990s and nearly destroyed her father, the lead investigator on the case. 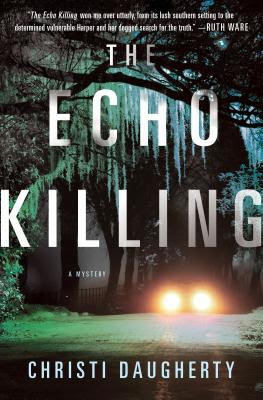 Determined to decipher his twisted messages and stop the carnage, Caitlin ignores her father’s warnings as she draws closer to the killer with each new gruesome murder. Is it a copycat, or can this really be the same Prophet who haunted her childhood? Will Caitlin avoid repeating her father’s mistakes and redeem her family name, or will chasing the Prophet drag her and everyone she loves into the depths of the abyss?" I requested this one from the library after hearing so many good things about this author and this series. 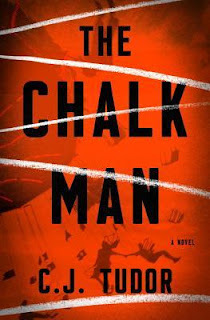 It had been on my radar but it was the comparison to Criminal Minds (a television show I enjoy) that bumped this one to the top of my TBR list. I can honestly say that this book was just as enjoyable as I had hoped it would be! 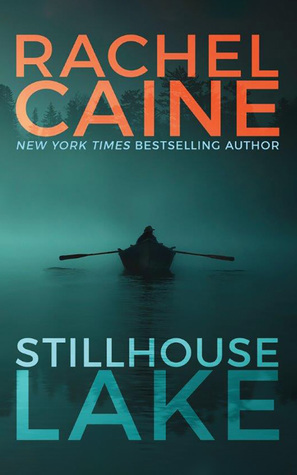 From the very beginning, Caitlin is pulled into the hunt for a serial killer - the same one that her father was hunting when she was a young girl. This book starts off fast paced and that pace doesn't stop until the very last page. Like I was seriously reading so fast that there were times that I had to go back and reread. There was this constant layer of fear and tension that the author created in this book. It had me unable to put this book down as I just needed to see how it would all end. It was intense, dark, and twisted - just everything that I enjoy from a good thriller. I really enjoyed how while reading this book I never knew what going to happen next. I was just along for the ride and I enjoyed every minute of it! It's funny because this author has been on my radar for awhile now but I'm just now finally giving her books a try. This was a great book to start with and has me really excited for the next book in this series! I really don't want to give you too many details as this is a book to experience for yourself. I'll leave you with a READ THIS BOOK recommendation! Overall, I really enjoyed my time with this book and am super excited about this series. I almost brought the second book home from the library with me the other day but I wasn't ready to be completely caught up with this series yet. I'm so weird like that. I don't think that I'll be able to hold out for very long though since I enjoyed this first book so much! I can't say enough good things about this book though which should tell you how much I enjoyed it. I would recommend this book to fans of thrillers and mysteries. Be warned that it is dark and if that isn't your type of read, you might want to pass on this one. This is exactly the type of book I enjoy though so I couldn't get enough of it! I love when I find a book that I can't put down and has me unable to stop reading. I also adore when that same book gives me creepy vibes as well. I would highly recommend this one for just those reasons alone! Bottom Line: A tense and thrilling read that I couldn't get enough of! Disclosure: I read this book courtesy of my local public library! 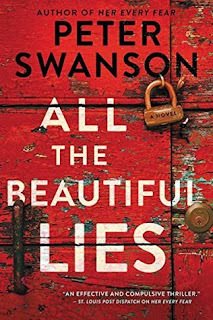 "As the head of an elite FBI unit, Special Agent Paul Harrison seems to have everything figured out, but beneath the surface, an internal war is raging. When he returns to his rural hometown for the first time in a few years, he’s faced with the memories that led to his losing the love of his life. Turning to Paul for help, Abigail joins forces with him. As an undeniable attraction develops between them, they must heal deep wounds from their past—and find a relentless psychopath who could extinguish their hopes for a future together." 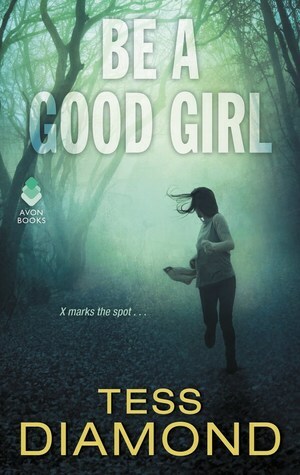 This is exactly the type of book I have been looking for when it comes to romantic suspense! As a girl that enjoys a good mystery and also a good romance, romantic suspense should be the perfect blend of the two for me. For whatever reason though, I have a hard time finding romantic suspense books that I really enjoy. This author changed all of that for me now. I enjoyed both parts of this book equally and felt that it was a good blend of the two genres. In fact, I really couldn't stop reading this book once I got going. It was just so good and so hard to put down! In this book, Abigail is searching for the truth behind her best friend's death that happened many years ago. The police believe that they found her killer and he is sitting in prison for his crimes. When she comes across evidence that may prove otherwise, she is drawn into the hunt for the real truth behind her friend's death. The mystery portion of this book was both suspenseful and very intense. Like reading as fast as I possibly could intense to see how everything would turn out. But what also drew me into this book was the history between Abigail and Paul. There was this easy chemistry between them from the very beginning pages and I couldn't get enough of it. I also think that their shared history helped to make the relationship developing between them feel more natural. It wasn't one of those instal-loves that I despise so much. Instead, it almost felt like the relationship that developing was like coming home after being gone for too long - that feeling is the best way to describe it! Overall, I am so excited to have found this author's books because I enjoyed this one so much! I actually already have another of her books on my shelves waiting to be read which pleases me to no end. I need more romantic suspense reads just like this in my life! I found this to be a heart-poundingly good read and one that I couldn't get enough of. I think that fans of mysteries and thrillers would enjoy this book just as much as fans of romance would. I'm planning on reading more by this author sooner rather than later. I would highly recommend! Bottom Line: One of the best romantic suspense reads I've read in a long time! I'm writing to you from inside a warm house while the snow just seems to keep coming down outside. It's crazy pants and I'm ready for spring weather already! My daughter was supposed to have her first softball tournament of the year but it was cancelled due to the lovely snowstorm that is currently in our area. I didn't get a chance last week to post a reading update as she had her opening ceremonies for her softball organization. There is a good chance that my blogging is going to be taking a slight hit in the upcoming weeks so fair warning. 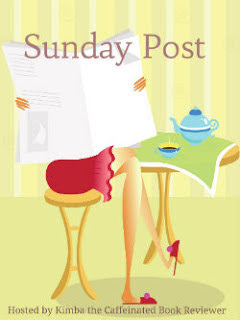 I usually write all of my posts on the weekends as week days are just too busy for anything else. With a scheduled tournament coming up for almost every weekend in April....well, I'm going to have to figure out a different time to blog or you won't ever hear from me. LOL! And baseball will be here before we know it as well. I love this time of year though so no complaints. 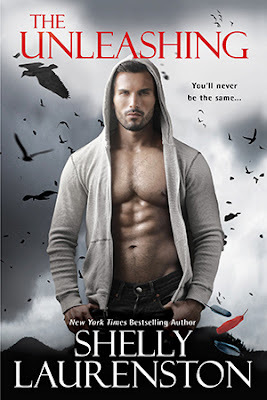 Natural Thorn Killer by Kate Dyer-Seeley - I actually have already shared my thoughts on this one but if you haven't read my review just know that I enjoyed this one a lot. It was a fun read and I'm really looking forward to the second book now (although I have a bit of a wait). The Chalk Man by C.J. Tudor - I then picked up this thriller and was totally enthralled by this creepy mystery! I've never actually finished reading It by Stephen King (despite having started it twice now) but it has that same kind of vibe to it almost with the band of young friends and the troubles that they find themselves in. I will be sharing my thoughts on this one very soon! 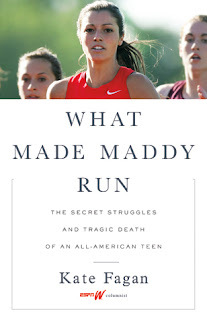 What Made Maddy Run by Kate Fagan - I needed a complete change of pace with my reading so picked up and finished this nonfiction read within two days. It was so completely heartbreaking but also such a great book! I'll discuss more in my review but I think that this book hit me particularly hard as my son is a freshman hoping to play football in college. I'm eager to write up my thoughts on this one as well but I can highly recommend! 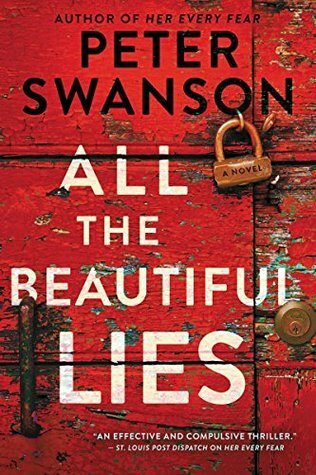 All The Beautiful Lies by Peter Swanson - This is my second book by this author and it was just as enjoyable as the first one! I actually read this one a bit early as it doesn't release until April so I won't be sharing my thoughts on it until then. I will say that it was a compelling read that left me eager to continue reading this author's books! A Curious Beginning by Deanna Raybourn - I just finished this one earlier this afternoon and it was such a delightful read. I just couldn't get enough of this book and these characters! I'm so glad that I have more books in this series to look forward to because I adored everything about this book. I will also be writing up my thoughts on this one very soon. 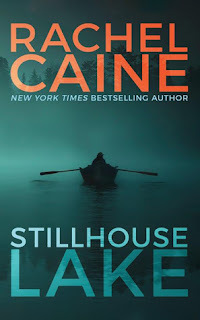 Stillhouse Lake by Rachel Caine is my current print read and one that I just began reading last night. I'm not very far into it yet but I have heard good things! Dressed for Death in Burgundy is most likely going to be my next Kindle read. 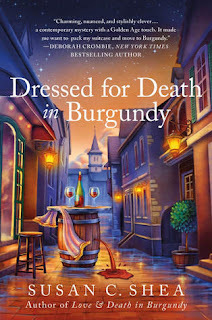 I was so excited to find out about this book after enjoying the first book, Love & Death in Burgundy, so much! This one isn't scheduled to release until May though so I might read something else first....I haven't quite decided yet. Plans for today include working on my laundry piles and not much else. The house is mostly clean so I'm hoping to spend some of the afternoon relaxing with my book. I should probably work on writing up reviews and pre-scheduling posts considering how busy life is going to get in the near future. I was thinking about working for a few hours as well but I haven't quite decided yet if that is going to happen or not. Also, since I started writing this post yesterday and it is now Sunday morning...I'm happy to report that the snow has finally stopped! Let's hope that we get some sunshine today to start the melting process once again. "Britta Johnston might be a late bloomer, but after leaving her deadbeat husband and dead-end job, she's finally pursuing her artistic passion at her aunt Elin's floral boutique, Blooma, in Portland, Oregon. It's on the banks of the Willamette, in a quaint district of cobblestone paths and cherry trees. The wine bar featuring Pacific Northwest vintages is a tasty bonus, offering another kind of bouquet to enjoy. But things aren't as peaceful as they look. For one thing, someone's been leaving dead roses around--and a sleazy real estate developer who wants the waterfront property has put a big-money offer on the table. Then, after a contentious meeting of local business owners, he's found on the floor of the shop, with Elin's garden shears planted in his chest. And before the police decide to pin the crime on her beloved aunt, Britta will have to find out who arranged this murder . . ."
After adoring this author's Pacific Northwest cozy series, I am basically here for everything/anything that she writes. So you can probably guess how thrilled I was to hear that she had this new series coming out! I can't say that I've yet read a cozy series featuring flowers but I was definitely here for it. And I loved my time with this book and these new characters. It was a fun read and definitely different from any of the other cozy series that I'm currently reading. In this book, Britta comes home to Portland after realizing how unhappy she is in her marriage. Her passion is flowers so she comes back to help her aunt in the floral boutique that her aunt owns. Soon after she arrives though, trouble finds them both as a dead body is found in the cottage behind their floral shop. And just as fast, I was hooked on this book and these characters! I think though before I tell you everything that I enjoyed about this book, that I better tell you about my one and only complaint with this book. I feel like the author completely glossed over Britta's failed marriage in the beginning of the book. It almost would have worked better for me if she hadn't included the discovery of her husband being unfaithful. There were just no details relating to it all and everything happens so fast - I could have skipped all of that and just started with Britta arriving in her old hometown. My two cents though so take it for what it's worth! As soon as the murder happened though, I was firmly entrenched in the story and figuring out whodunnit. I also really became attached to both Britta and Elin's characters. I think that the author has a knack for creating characters that you come to care about which happened while I was reading this book yet again. I'm really looking forward to more books with these characters! I also loved how in this book the author gave tidbits and details relating to Britta and Elin's Swedish heritage. It just added a different flavor to the book that I couldn't help but enjoy. The mystery portion was also very enjoyable. I didn't figure out who the killer was until the very end (although I did suspect at one point). It's always fun to find that the author is able to turn you around enough that you don't see the end coming. Overall, I really enjoyed my time with this book and have already added the next book to my TBR list (despite the fact that it isn't scheduled to release until November of this year). I will be right there ready to gobble it up when it does come out! I found myself easily swept away by this book and it has me wishing to visit Portland sometime myself. I even wouldn't mind a rainy day or two thanks to reading this one. Ha! I loved that this book was so focused on flowers...something that I wouldn't have said that I was terribly interested in. I love to garden but fresh veggies are where it is at for me. I just might have to consider planting some flowers though after enjoying this book so much! I can easily recommend this book to cozy mystery fans. It just has the perfect cozy feel that I look for. And don't worry food lovers - the author included enough delicious descriptions to scratch that foodie itch that I didn't even know that I had. Recommended! Bottom Line: A really enjoyable beginning to this new cozy series! Disclosure: I received a copy of this book thanks to NetGalley and the publisher for my honest opinion. This book releases on March 27th if you are interested! "Anna Pigeon has fled New York and her memories to find work as a ranger in the country’s national parks. In the remote backcountry of West Texas, however, she discovers murder and violence. Fellow park ranger Sheila Drury is mysteriously killed, presumably by a mountain lion. But the deep claw marks Anna finds across Drury’s throat and the paw prints surrounding the body are too perfect to be real." This is my second book read for my personal TBR challenge. I actually picked up my copy of this book from the used bookstore but then it just languished on my shelves. I'm grateful for the push to finally pick it up that this challenge gave me because I really enjoyed this one. It was a quieter mystery but it was the perfect choice for the reading mood that I was in. I loved this book for the setting alone. 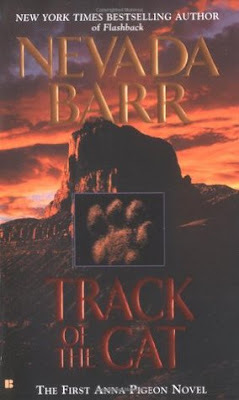 The author was able to just draw me in to the wilderness and stark back country of Texas within the pages of this book. Through Anna's love of nature and the area where she lived, I was also able to feel like I was there myself. I found that the mystery came almost second to me in comparison to just experiencing the atmosphere that Barr created within this book. What I loved about this book besides the setting was the feel of it. It almost reminded me of a Sue Grafton novel although they are two very different type of books. I think it was the fact that both series are set in a different way of life - a time where technology and cell phones aren't the every day norm. Anna has to use a pay phone to make calls to her sister in New York and can barely type up reports that she needs to do. Both series feature a different type of investigating where it isn't all focused on forensics but instead focuses more on uncovering the secrets leading up to the crime. This was a shorter book but I still was so easily caught within the pages. I found myself surprised by the ending as I didn't see any of it coming. It just made the book that much more enjoyable and has me eager to continue on with this series (which is why I now have a copy of book two on my shelves ready and waiting). Overall, I really enjoyed this quiet mystery and am very excited about this series in general. Luckily for me I believe I have many more books to look forward to. I'm two for two as well when it comes to books read for this challenge. Both have been really great reads for me and finally knocked a couple of books off of my TBR that have been on there for entirely too long. I don't plan on waiting long before moving on to the second book! I think that fans of mysteries and suspenseful reads will enjoy this book. 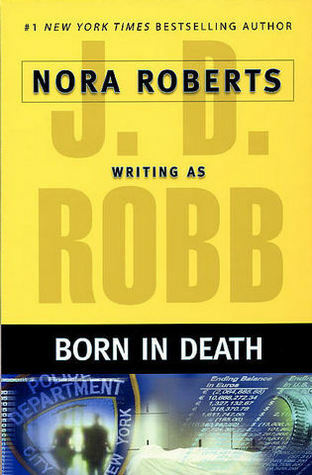 I really do see a lot of comparisons to the Sue Grafton series so if you enjoy that one you may like this one as well. Easily recommended! Bottom Line: A quiet mystery that sucked me into the beauty of its' surroundings! Disclosure: I purchased my copy of this book from my local used bookstore. "A city of antebellum architecture, picturesque parks, and cobblestone streets, Savannah moves at a graceful pace. But for Harper McClain, the timeless beauty and culture that distinguishes her home’s Southern heritage vanishes during the dark and dangerous nights. She wouldn’t have it any other way. Not even finding her mother brutally murdered in their home when she was twelve has made her love Savannah any less. Harper has seen all of this before in her own life. The similarities between the murder of Marie Whitney and her own mother’s death lead her to believe they’re both victims of the same killer. At last, she has the chance to find the murderer who’s eluded justice for fifteen years and make sure another little girl isn’t forever haunted by a senseless act of violence―even if it puts Harper in the killer’s cross-hairs…"
This book was an excellent beginning to a new mystery series and I enjoyed my time reading it! I'm not going to lie - I added this one to my TBR list based off of that gorgeous cover alone. The book itself was just as good as I had hoped though and left me very excited about both this author and series! One of the things that I liked best about this book was that it wasn't your typical detective mystery. Harper is a crime reporter for a newspaper who pushes to the edge sometimes to get her story. It is only when she comes across a crime scene that eerily reminds her of her past (her mother was murdered when she was younger) that she starts investigating both the recent crime and her mother's murder. The similarities between the two crimes was intriguing but it was Harper herself that really made the story stand out for me. She just came to life between the pages even when some of the choices that she made had me cringing. In just a very short time she became obsessed with figuring out what happened to her mother so long ago (hence the reason for some of those bad choices). It added this layer of tension to the story that caused me to be unable to stop reading. I did guess the actual bad guy towards the end of the book although I couldn't figure out the whys behind it all. Even figuring that much out, I found myself very surprised by the ending of the book and very eager to get my hands on book two. It was so good but now I need more! Overall, I really enjoyed this book and am now left with the long wait for book two. But this one was so good that it will be completely worth the wait! I tried not to give too much away because I didn't want to spoil anything but I obviously can't say enough good things. I feel like I've hit a streak of finding new mystery authors to be really excited about and this author is on that list. It was just such a great mystery and that ending left me wanting more. I almost forgot to mention that I really enjoyed the Georgia setting. There is just something about books set in the South that I love. 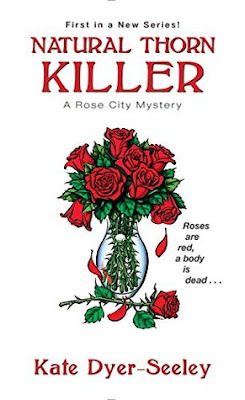 If you enjoy mysteries and suspenseful reads then this is a book to check out! I'm in awe that this book is the author's debut because it is just so good! I would highly recommend (I'm sure you can tell as this feels like it has turned into a gush fest). So very good! Bottom Line: A mystery where the characters and setting swept me away and left me wanting more! This book releases today on March 13th if you want to check it out! I took another week off from blogging - no real reason why other than I've just been busy and lacked the motivation to write up reviews. I feel like the past two weeks have been super busy but not really sure why. Eh...that's what happens sometimes! I managed to finish seven books in February which I was pretty happy with. Not as good of a reading month as January but it was shorter and I'm still currently ahead on my Goodread's goal. 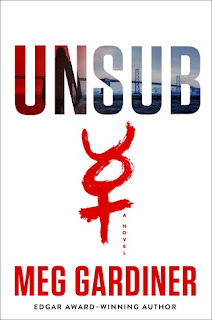 Unsub by Meg Gardiner was a really intense and thrilling read. I kept hearing really great things about this series (book two recently released) and I've got to agree. It had me reading frantically trying to see how it would all turn out. 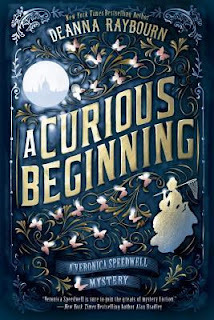 I'm eager to get my hands on the second book because although there is closure in this book - there is also an open story line that I'm left wanting answers to. Born In Death by J.D. Robb was the perfect follow-up as this is a personal favorite series of mine. It was great to jump back into a mystery like this one with some of my favorite characters. I especially enjoyed this one as it had some laugh out loud moments to it as well. I adore this series and each book is an enjoyable read for me! I'm about 80% into this one and enjoying it although I've been reading it for over a week. This is what happens when I don't get enough reading time in. I don't currently have a print read in progress yet either. I've got plenty of choices though so as soon as I finish this book (hopefully maybe this afternoon) I will figure that part out. Curious about which books I brought home from my used bookstore trip? I brought all of these gems home with me and STILL have almost $30 worth of in-store credit available. Gotta love it! I'm excited to add all of these to my shelves and read them in the hopefully near future. Have you read any of these? Any that I should bump up to the top of my never-ending TBR list? I'm off to work on writing up some book reviews. I'm falling a bit behind and would like to get some posts prescheduled for the month. Life is going to get pretty darn busy soon enough and I can see my blogging time dwindling down because of it. Plans for the rest of the day include laundry and reading otherwise. I would really like to get some other things accomplished around the house but we will have to wait and see if that happens. "Kera Watson never expected to face death behind a Los Angeles coffee shop. Not after surviving two tours lugging an M16 around the Middle East. If it wasn’t for her hot Viking customer showing up too late to help, nobody would even see her die. But Vig can’t give up on someone as special as Kera. With a storm of oh-crap magic speeding straight for L.A., survival will depend on combining their strengths: Kera’s discipline, Vig’s loyalty… and the Crows’ sheer love of battle. Boy, are they in trouble." I've been meaning to read this book for awhile now but it was hearing about it on the Smart Podcast, Trashy Books podcast that helped me to make it my next read. I was in the mood for a fun romance and this book definitely fit the bill. It is probably one of the most unique beginnings to a paranormal romance series that I've ever read. Kera wakes up to find herself to have become a crow - basically she is now part of this group of strong females that have special strengths and abilities. They are almost like warriors for a god - at least that's the best way that I can describe them. How wonderful to find a book that focuses on female relationships like this one does! That being said - my one and only complaint with this book was that at times it was hard to keep track of all of the characters. There are just so many of them! I'm sure that as the series goes on I will become more and more familiar with all of the characters but I did find it a bit overwhelming at times. Enough on that though! I absolutely breezed through the pages of this book! It was such a fun read and it had me giggling at times. Especially at the beginning where Kera explains more of how she first met/what she first thought of Vig. It's pretty great but I don't want to spoil anything so I won't say any more than that. I found that I especially enjoyed the relationship between Kera and Vig. He helped her in so many different ways to adjust to her new life and I adored him for that alone. Plus there are some nice steamy scenes between the two of them and I couldn't help but root for their happy ever after! This book was very fast paced and I raced through the ending because I couldn't stop reading. We don't get full closure since this is just the beginning of this series but it was wrapped up enough to feel satisfying. I'll still be reading the second book sooner rather than later though! Overall, I really enjoyed my time with this book and am excited to have finally given this author a try. I was bummed at first to see that there are currently only three books in this series but Laurenston has other series and books that I can read as well. I just enjoyed this book so much so I want tons more just like it! I also really appreciated that the crows are all women of mixed heritages and races! Yet another thing that I just loved about this book. I'm so eager to read more in this series because of all of this. There are just so many great things about this book that have me so excited to read more in this series. I would highly recommend this book to other readers of romance, paranormal romance, and even urban fantasy. I will be picking up that second book as soon as possible! Recommended! Bottom Line: I thought that this was a really great beginning to this unique paranormal romance series!